“During our first visit to your store we had little knowledge on the value of the stones or designs available. Whilst we were impressed with the service, we had no reference point to measure value. We then looked at a number of other stores and at each store obtained new knowledge until we felt we had enough knowledge to make an informed decision. The final decision was not made on monetary value (whilst I am sure we are getting quality and value), but on the “experience”. You made us feel special and valued us as individuals. Your service has always been professional and at no time did we feel pressured. 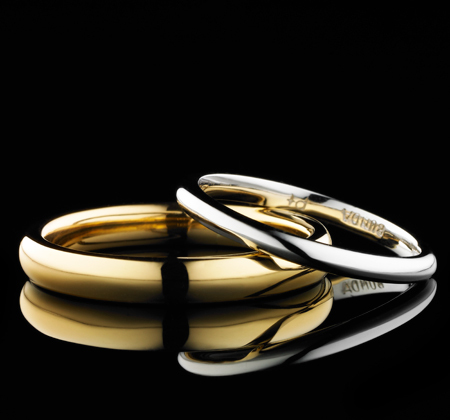 “BUNDA was highly recommended by many luxury brand jewellers when we first visited their boutiques to do some research. The BUNDA team not only helped us to pick out the perfect engagement ring and wedding bands, but also took the time to make sure that we understand more details about the characteristics of diamonds. Both the engagement ring and the wedding bands were made beyond beautiful – we’re very happy with the result. “I discovered Bunda as I was walking around the Sydney CBD on a lunch break and decided to stop in as I was already in the market for a ring. When I first walked in to Bunda I was quite overwhelmed with the prospect of picking a ring. The friendly staff quickly put me at ease and help to guide me through the process. I also needed the ring to be completed in just two weeks and found Bunda to be very accommodating of my timeline. My wife was very satisfied with the beautiful ring that they designed and we have since gone back to buy our wedding bands and some diamond earrings for a wedding present. “I just want to again pass on my sincere thanks to you and the BUNDA team. The whole experience of buying a beautiful piece of jewellery was a memorable one. From my initial contract, to being presented with the ring, everything was faultless. It’s not too often that you find a company who delivers beautiful products whilst maintaining such a high level of customer service. “My husband and I were shopping in the QVB for an engagement ring and we went into BUNDA to look at their designs. When I tried on the Sitara engagement ring it was like falling in love for the first time. I couldn’t take my eyes off it and it was by far the most beautiful ring I’d ever seen. BUNDA sourced us an amazing diamond and tweaked the design slightly to suit our taste and budget. The finished result was perfect.